I still get recognised now and then but yesterday wasn’t fun for no other reason than I wasn’t looking great, but let’s be fair, that’s when I’m at my most recognisable! I’d been struggling with mechanical issues on the narrowboat, and I was covered in grease and sealant. My mood wasn’t exactly the greatest either, but I do like receiving positive comments about my experience, which thankfully they mostly are. So what have I been doing for the last few months? Little productive, if I’m honest, and although I feel like the things I’ve been doing are to some end — I’m yet to see any results. So what have I been doing? I finally finished editing the footage from my Amazon row into a documentary feature, which has had constructive reviews from those who have seen it so far. I’ve also been chipping away at writing a book! This has been a draining experience as I’m reliving issues and events from my past, and ones that aren’t always comfortable to recall. But without going through those events, I cant get the story across so for every couple of days of painful recollection there is a week or so of stepping back from it to de-stress and rebalance my emotions. When January came by I found myself without work, I dropped flyers off in the local area offering my services as a ‘handyman’, but to no effect—people must be too handy around these parts! Out of frustration, I decided to enrol on a Masters degree to try and fill my time with something productive. The ups and downs of my mood, due to writing, affects how I feel about the course however but on the whole, I’m enjoying it. I’ve also tried to busy myself at home with improvements and of course caring for Dodo, our newest family member, a disabled pigeon that we found on one of the commons in Cambridge. Finally, I’ve renovated the Amazon rowing boat. It had been sitting outside, under cover, for a few years and needed a lot of TLC. 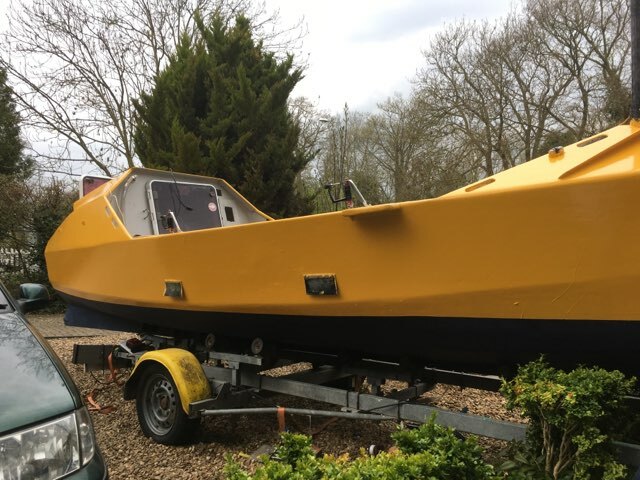 I’ve replaced the damaged woodwork, repaired the broken equipment, and with a new coat of paint, the boat is beginning to look amazing once again. This boat has been across the Atlantic four times, as well as the Amazon river, but for now, it’s just sat outside looking pretty, a memory of adventures gone by.